If you love touring homes, don't miss the 2018 Parade of Homes! Open now on Thursday, Friday, Saturday and Sundays through August 26! Make plans now so you don't miss it! 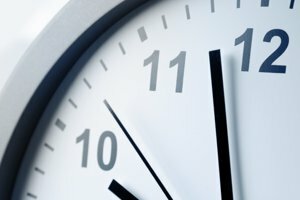 From Contract to Closing - How Long Should it Take? Now that you have decided to purchase a home how long will it take until it's actually your home? Well that depends. Every state has a different process, but in general we all do the same things, we just do the differently. Colorado is a "Table Closing State" meaning we all go to a closing, usually at the Title Company and the Title Representative or Escrow Agent "closes" the deal. When done the buyers get the keys and they officially own the home. Getting to the closing table can take a couple of different paths. If the transaction is all cash, it can happen quickly in 7-10 days. However if the transaction involves buyer financing, it take longer. Inspections of a buyer's choice; home inspection, radon test, sewer scope, etc. While most of these items proceed in a timely fashion, it does take time to go through each step. Buyer's incur fees for inspections and appraisals. If there is concern that a home will require more work than a buyer is wiling to do and the seller refuses to do, than a buyer may not want to order an appraisal until the inspection objection is passed. A typical closing can comfortably occur within 30 days from the offer to purchase being accepted. The longest process is the appraisal and underwriting. One cannot occur until the other is completed. Every transaction comes with unique circumstances. It is best to consider the needs of both parties and set expectations up within the reality of what is possible. Buying and selling a home is a very emotional process, so adding to the stress of the transaction by rushing a process that can't be rushed is best avoided! Discuss your needs and expectations with your Realtor when writing your offer to be sure everyone understands and can live with the deadlines. After the financial crisis which started around 2008, many homeowners found it necessary to give up their homes either by filing bankruptcy or letting the lender foreclosure. These actions came not only with emotion, but penalties for buying a new home. Fortunately, the penalties do not last forever! It is important to note, in addition to the waiting period, the borrower must establish good credit again. To do that it might be helpful to talk to a lender. They can help you with suggestions on how to do regain good credit. Everyone needs a place to live. Renting only makes sense for people who are not settled in an area for at least 2 years or more. Over 2 years, renting stops making sense. Owning a home is wise. Is it time to be a homeowner again? Nature protects their young just as we humans do! I so enjoyed watching about 25 goslings and their parents cross the street. Spring is here and along with the spring flowers comes a new crop of homes for sale. Metro Denver is enjoying (?) a very limited number of homes on the market with more buyers than homes! Home owners are finding it easy to sell, but there is a surprise.here isn't any one reason for this, but a combination of many reasons. Often times the seller has failed to fix a significant problem and the buyer just backs out because they can't afford to take care of that "one more thing." Remember if you are homeowner you need to keep the home in good shape be doing regular maintenance. If for instance your roof is at the end of its useful life, then yes, you will need to replace it. The cost for this will not increase the value of your home, but will in fact allow you to successfully sell it! Recently Houzz, the online magazine published a list of things to do to get your home ready for market. It's a read worth your time. Give potted plants some TLC (this applies to overall landscaping, especially approach to the home. If you have other suggestions, I'd love to hear them! Please feel free to contact me for a no obligation home value report and consultation to prepare your home to sell. The Metro Denver Real Estate Market is suffering from a lack of inventory (homes for sale). As a seller you can use this fact to your advantage, but with some qualification. This article points out the importance of pricing your home so you end up with multiple bidders. This not only makes sense, it works! If you are thinking about selling your home, you need an advocate. As an experienced, long time Realtor, negotiator and marketer I use all the best methods to procure the best deal for you in the sale of your home. You may call me directly at 303-589-2022. I welcome your call! This year in the Metro Denver market we have had a strong appreciation, where home prices are returning to their former levels. Many homeowners who were "underwater" with their mortgages are now finding they have equity. This is good news because it opens up the opportunity for homeowners to sell. In a word, yes! Due to the high demand for homes to purchase, sellers are enjoying a "seller's market". A seller's market is defined by the "days on market". When the days on market is 25 weeks or less (6.25 months), it is a seller's market. We go even further to define the seller's market as "Extreme Seller's Market" when the available inventory is from 0-12 weeks. How do we calculate the number of weeks inventory? This is a simple math calculation. The number of homes for sale (during the month) is divided by the number of homes sold (during the month)=weeks of inventory. This is not a perfect calculation as these numbers fluctuates as home come on the market. But still, it gives us good guidance as to know if values are increasing or decreasing. This is important for a home owner to know when they are preparing to sell. How do I determine the price? As a Realtor, I can evaluate these numbers when preparing a pricing strategy for the home. Looking at comparable sold properties that happened in the past is one portion of pricing equation. One needs to evaluate the future home price based on demand. The value could be significantly more if there is a great demand for the home. At the same time one needs to be very cautious about getting to aggressive and over-pricing the home. 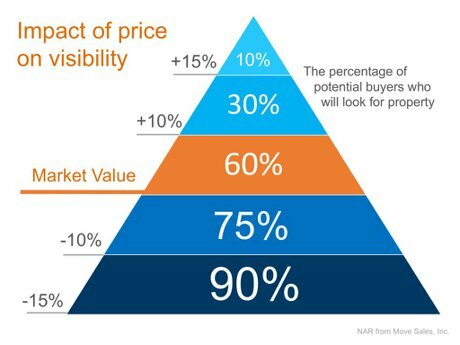 Over-pricing can be detrimental in the long run, causing the home to become "shop-worn" from being on the market too long. Buyers are weary of homes that don't sell quickly. They are concerned that there is "something" wrong with the property they might not be able to see. Good question and one that I can only answer based on past history. I look at the "days on market" other homes in that price range and neighborhood have sold for and usually can give you a good estimate. Right now in Metro Denver the days on market varies by price range. Of course it only makes sense that more houses sell in the "average" and below price range than above. If your home is in the average or below price range it stands to reason the timing for sale will be very similar. Condition of your home has a bearing on who will buy it. If your home is in need of updating or major repairs, not everyone in the market is up to do that. The home will need to be priced right so buyers who want to do repairs can afford to purchase AND do the repairs. There are many companies that will offer to "buy your ugly house" but beware they are in the business to make a profit and the offer they give you will be a "wholesale price". I can guarantee I can find a buyer for more than they will pay you, including what you need after you pay me! Location is really a tough one. You've probably hear the real estate mantra, location, location, location. Well if you are in a good location, you did well. If you purchased in a poor location or the location has gotten poor since you bought, you will just need to deal with it. That means compensating for it in price or providing irresistible terms to a buyer. There are many strategies to get you out of a bad location, it all depends on the situation. Don't despair just remember "one man's house is another man's castle." Contract fallout is a huge issue right now with our fast paced Metro Denver real estate market. Buyers are literally purchasing homes and then getting buyer's remorse and walking away from the contract. I think it's because the competition demands that they act before they have fully digested the big decision they are making. People really need to have choices. When that is taken away from them they become uncertain. How do we prevent this? Working with the seller, I dig as deep as I can into the buyer's qualifications. Just because they wrote an offer doesn't necessarily mean they can and will perform. By researching their qualifications and asking more questions I hopefully can ferret out the unserious buyers. It means a lot to my sellers when they have the piece of mind the transaction will go as planned. 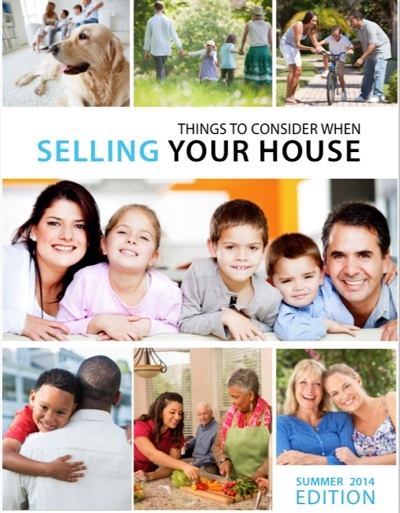 Free Guide: Things to Consider When Selling Your House. 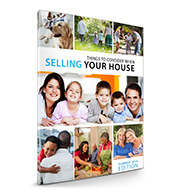 Keeping Current Matters offers a wonderful resource guide for Home Owners with questions about selling their homes. You can click on the link below that will take you to my Evernote account where you can download/view the book at your leisure. If you have questions about the local market, please feel free to send me an email or call. I welcome your contact! Affordable Financing is Now Available to Qualified Buyers! When buying a home you find yourself with many challenges. Affordability is probably the most challenging, right up there with making the timing of the move work and being able to find what you actually want to live in! 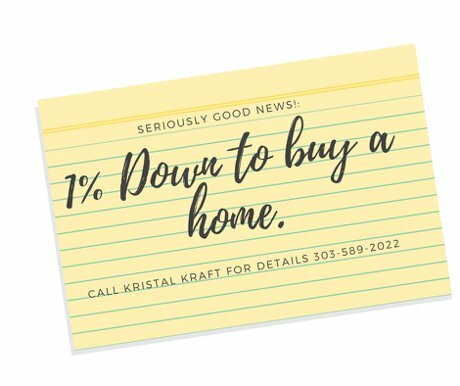 Well if you are in the market to purchase a home, you will be relieved to know you can now do it with as little as 1% down. Yes ONE PERCENT! This is no typo! 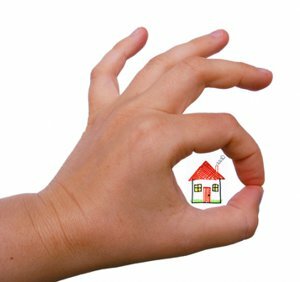 You maybe familiar with what we in the real estate industry refer to asl"Down Payment Assistance Programs" these programs are available through the Local governments who joined forces to provide bond financing such as Metro Mortgage Assistance Plus. The Colorado Housing and Finance Authority known as CHAFA also offers low down funds. Typically these programs have a requirement that the buyer live in the home for a certain length of time before they can sell and keep their equity without sharing it with the lender or they are limited to first time buyers. Each program has different requirements that might be restrictive. The Latest Low Down Loan Features Are Great! Today I discovered yet another plan that is far better than anything I've seen yet! This plan allows a borrower to purchase with only 1% down! The mortgage company provides the other 2% down on behalf of the borrower! This program is open to buyers with a minimum credit score (FICO) of 680 and a maximum income of 100% of the area median income. This varies from county to county but it's around $83,000/annually. The borrower DOES NOT NEED TO BE A FIRST TIME HOMEBUYER! Condos are OK. The "debt to income ratio" can be as hight as 50%. It is conventional financing so the home isn't scrutinized like an FHA/VA loan. The underwriting is flexible with credit given to for boarder income and rental income. Like other low downpayment assistance programs the borrower is required to attend a homeownership class. The class associated with this program can be taken online. There is a small fee, but for a limited time there are discount coupons available, you just need to ask! Don't forget in addition to the 1% a buyer is responsible to pay for their closing costs, inspection fees, etc.